Complete A Marathon With Strength Training! It's Fall and the weather perfect for an endurance race such as a marathon! While there are many aspects that go into training for a race such as a marathon, today we are going to discuss strength training to enhance performance. In addition to putting in the miles, checking nutrition, and sharpening mental toughness, strength training will be a huge piece of the puzzle when to being a successful runner. Are your legs strong enough to carry you the distance you need to go? If so, will they be wrecked post-race or will they bounce back quick? I have completed eight marathons in my running career thus far. 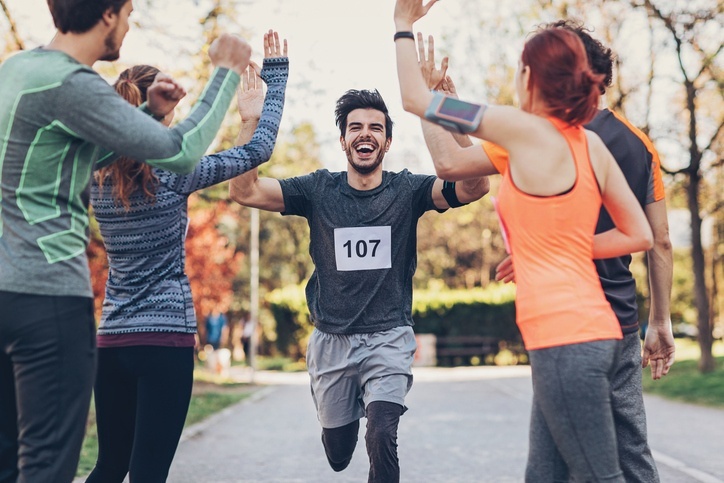 At the beginning of my marathon career, my legs were weak but I survived and felt like a zombie for a couple of weeks… in my most recent race, my legs were as strong as they have ever been and I recovered in just a couple of days. When I first began distance running, my training was just that… distance running. Running and only running. With only this type of training, the races were brutal. Painful! Just thinking about how my calves, hips, and quads felt make me cringe. After suffering through a couple of times, I decided to change things up and get my legs as strong as possible. I began squatting as heavy as possible, lunging, and adding in BOSU exercises to strengthen ankles and stabilizers. The results were amazing. When I would typically be demolished from a marathon and be bed bound for at LEAST 24 hours, I was able to shower right after the race and go celebrate with my crew… pain free! And that my friends, is the power of strength training. You must have all pieces of the puzzle to be optimal in your running… especially lifting heavy objects! To optimize your running performance, it would be wise to include heavy back and/or front squats and lunges, both lateral and strait on. The amount of lunge variations are endless but a few of my favorites would include forward stepping lunges with a barbell on your back and lateral lunges holding a kettlebell in your hands between your legs. Also important, the inclusion of stabilization exercises. This can be accomplished by lightening your weight load and adding in a BOSU. 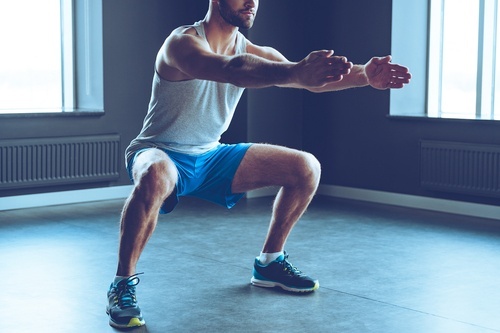 Both front and back squats can be performed while standing on a BOSU (either on the flat side or bubble side) to engage ankles and stabilizers. Also, lunges can be performed onto a BOSU by starting on the front and lunging onto the BOSU. If that is too easy, one could also begin on top of the BOSU and lunge to solid ground. Before your next race, do yourself a favor and incorporate some strength training into your routine. Your body will thank you and you will be able to enjoy the best part of the race without pain… the finish! Interested in adding strength training to your workout? Try us free!